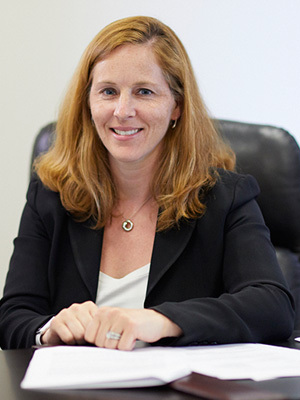 Amy K. Anderson has been practicing family law since 2004 after graduating from DePaul University Law School and becoming a licensed attorney in the state of Illinois that same year. While attending DePaul, Amy served as a staff writer for the DePaul Journal of Health Care Law for two years and served as its Production Editor and Business Manager during her final year at DePaul. Amy was also selected to participate in the first Family Law Legal Writing Program offered at DePaul in 2001. Amy expanded her law studies to European Union and Irish law during a semester of law school at University College Dublin in Dublin, Ireland. Prior to law school, Amy attended Kalamazoo College for her undergraduate degree. Upon graduation in 1998, Amy worked for three years for the Head Start program as a family worker and site director in West Chicago, Illinois. As a family worker, Amy helped low-income families participating in Head Start to develop educational and health goals to improve the welfare and well-being of their children. Amy has two young children and uses her parenting experience to help her clients reach the best resolution possible for their families. Amy was named a Rising Star by Superlawyers in 2013 and an Emerging Lawyer in 2016.